When I was a kid, my mom would often spend part of her summers taking classes to increase her skills and qualifications as a teacher (and later as a teacher-librarian). I always respected that, and have grown up to be a big fan of the idea of lifelong learning. Now that I'm an adult (or so I'm told), my problem is that I have multiple careers on the go, and none of them have a clear continuing-education path. I'm constantly coming across classes and workshops of interest, but with a split focus and limited budget, I rarely* sign up for any of them. Well, last weekend Steve and I finally took the plunge and committed to learning some new skills. "O, pardon me thou bleeding piece of earth..."
Quite the baby. And quite the babysitter. Above photos all courtesy of Mike Petersen. 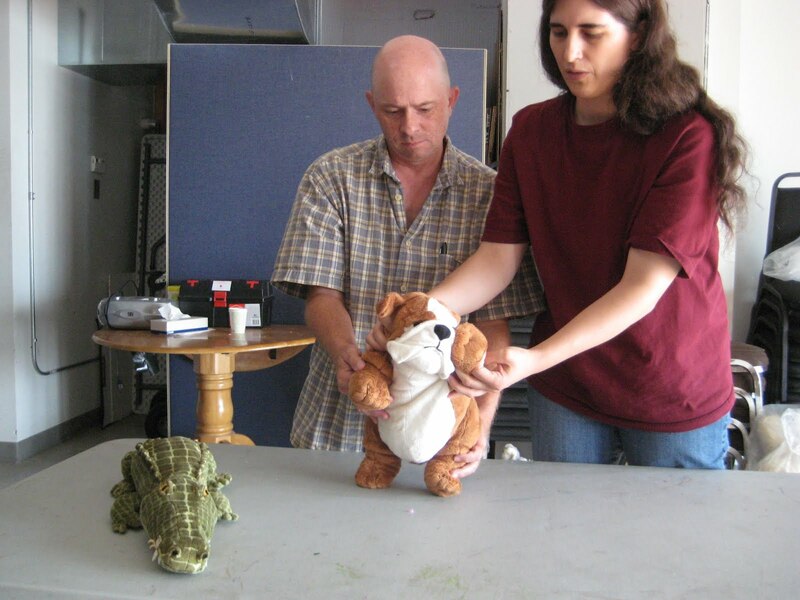 Yes, Steve and I took "Acting with Puppets", a weekend workshop run by Eric Woolfe and Mike Petersen, two fantastically talented men who were happy to share a little of what they know with a group from various backgrounds (which is to say, everyone was an actor except for me. And, uh, it showed). I think it's pretty clear I was really there because I want to tell stories with puppets, not just write for them. And I still have a lot of practicing to do, but boy did Saturday and Sunday get me off to a great start! It was chock full of those moments when the second something is told to you it becomes obvious, and a whole new level of understanding is layered onto all those years of watching Muppets, Fraggles, et al. 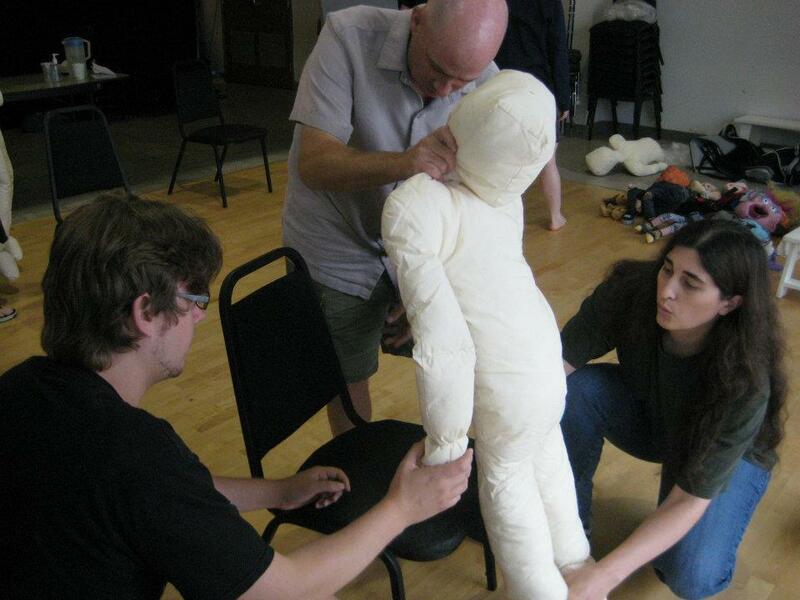 Want to Act with Puppets Too? Mike and Eric were both excellent teachers, so if you're interested in puppeteering and you're in the Toronto area, I highly recommend keeping an eye out for future classes from either of them. We found our workshop as a Facebook event, but it was also listed on the Ontario Puppetry Association's upcoming events page, so you can keep an eye out there. 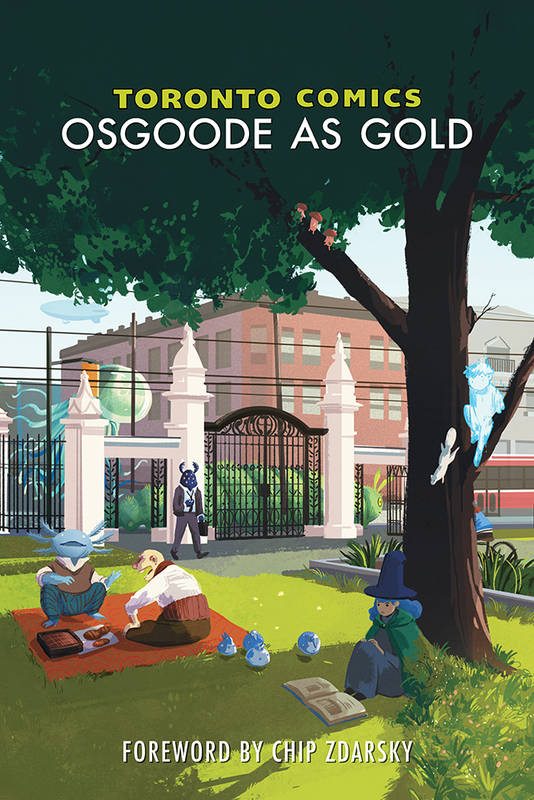 * One recent exception was the "Scripted for Schools" workshops which were hosted by the Playwrights Guild of Canada, and were awesome. That's awesome - looks like a lot of fun. 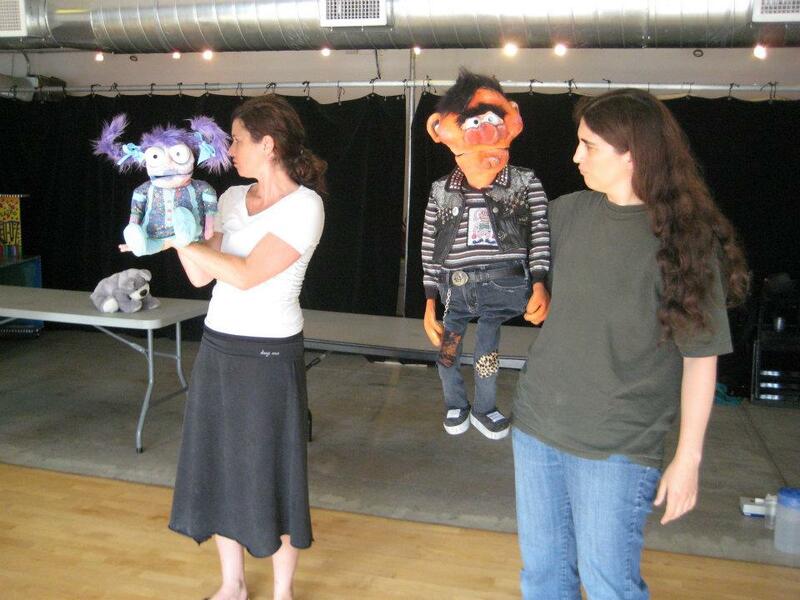 I heartily approve of career paths that involve puppets.